Saturday, a group of ‪#‎BlackLivesMatter‬ activists protested at a Seattle public event to celebrate decades of Social Security and Medicare. Our affiliate organization, Washington Community Action Network! was a cosponsor of the event. The event featured U.S. Senator Bernie Sanders. Sen. Sanders was unable to speak to the crowd because of the protest. The issues of Social Security, Medicare and racist police violence are issues that are very important to us, our organizations and our grassroots members. It should be noted that other speakers earlier in the event spoke about the urgency and importance of the #BlackLivesMatter movement on the eve of the one year anniversary of the killing of ‪#‎MikeBrown‬ in‪#‎Ferguson‬, MO. 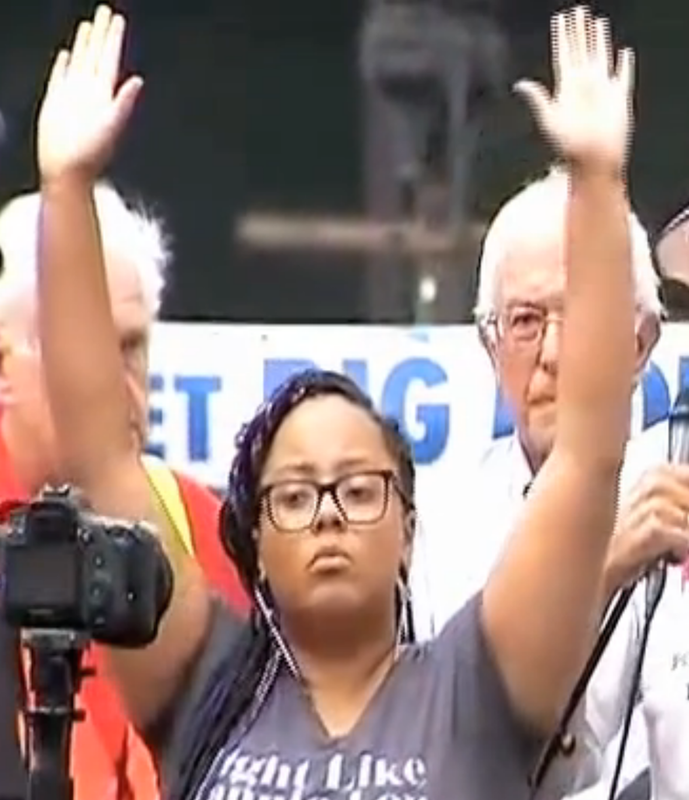 We understand why some rally participants were frustrated not to hear Sen. Sanders as planned, but we are very disturbed that some in the crowd demanded that protestors be arrested and heckled during the short moment of silence for Mike Brown. As long as the killing of black people remains a crisis in this country activists will demand that #BlackLivesMatter be front and center on the national agenda. And it should be. 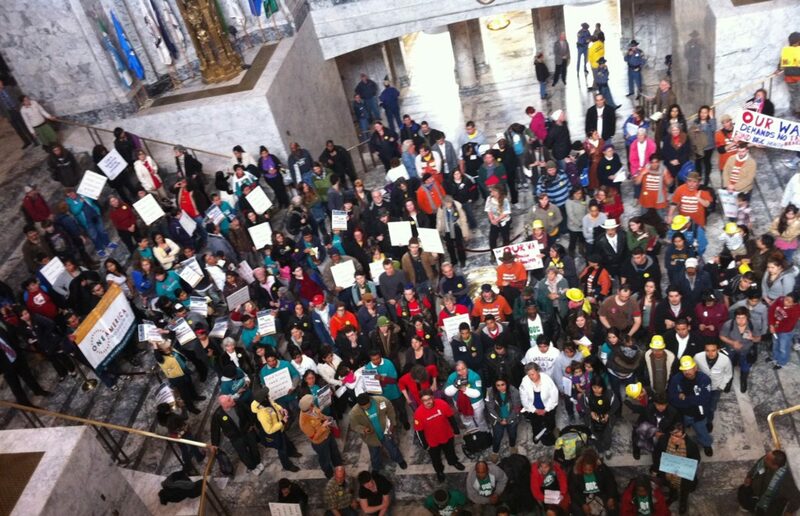 But we also believe that there are other important and pressing issues facing working people and communities of color. We think there is room for conversations on all these issues and more in Congress, along the Presidential campaign trail, in statehouses and in the public debate. The candidates will all have to improve their response to the crisis of police violence and mass incarceration, and all of us will have to learn to work together, broaden our understanding of issues — even those that don’t directly effect us — and deepen our sense of solidarity. Sometimes that means making room for issues that aren’t our personal priority. Sometimes that means being uncomfortable. That’s why it is so appropriate that organizers in Ferguson this weekend are using the slogan ‪#‎UnitedWeFight‬. It will take a united fight to change police practices in this country, as well as to expand Medicaid, defend Social Security and Medicare and win a better world for all.